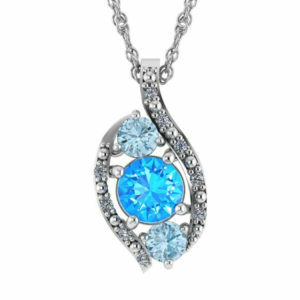 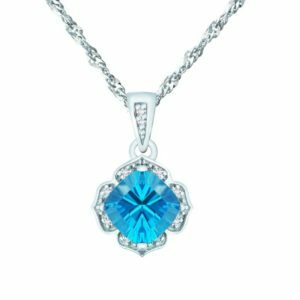 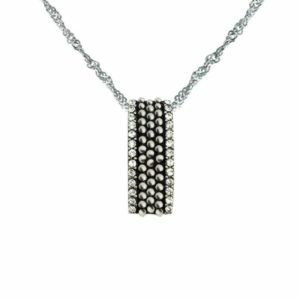 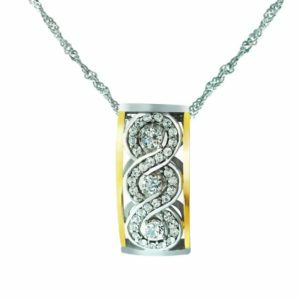 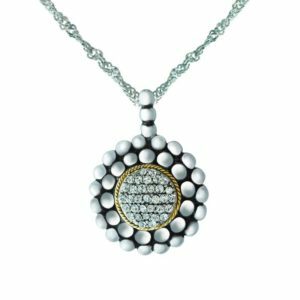 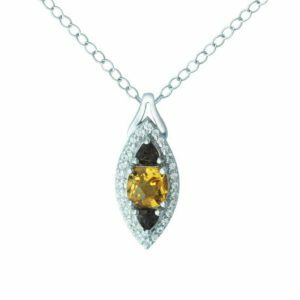 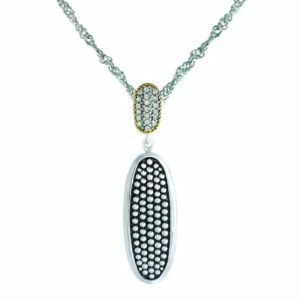 This lovely pendant will make a beautiful gift for any woman on your gift list. 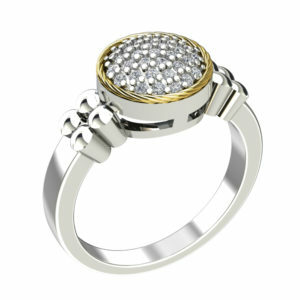 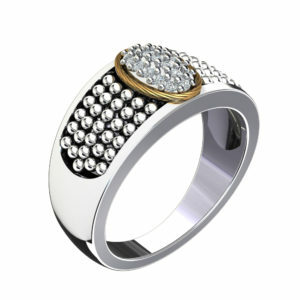 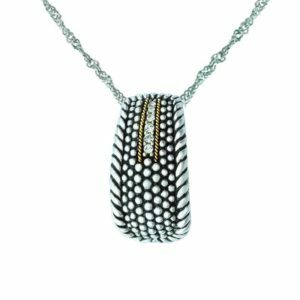 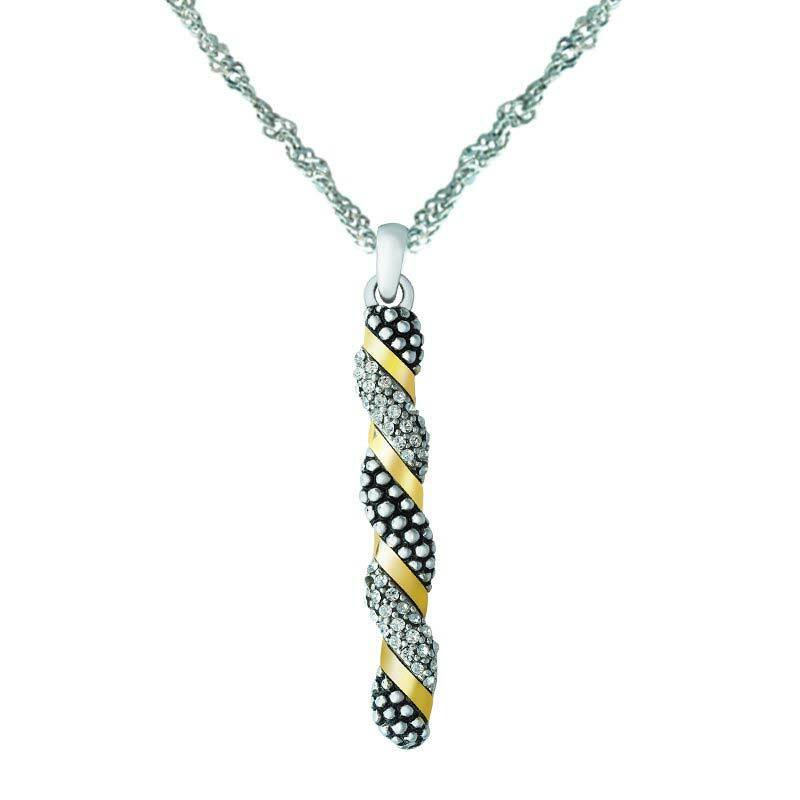 Made with .925 sterling silver and 14K yellow gold, its set with Swarovski crystals to complete the look. 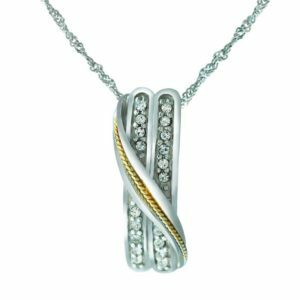 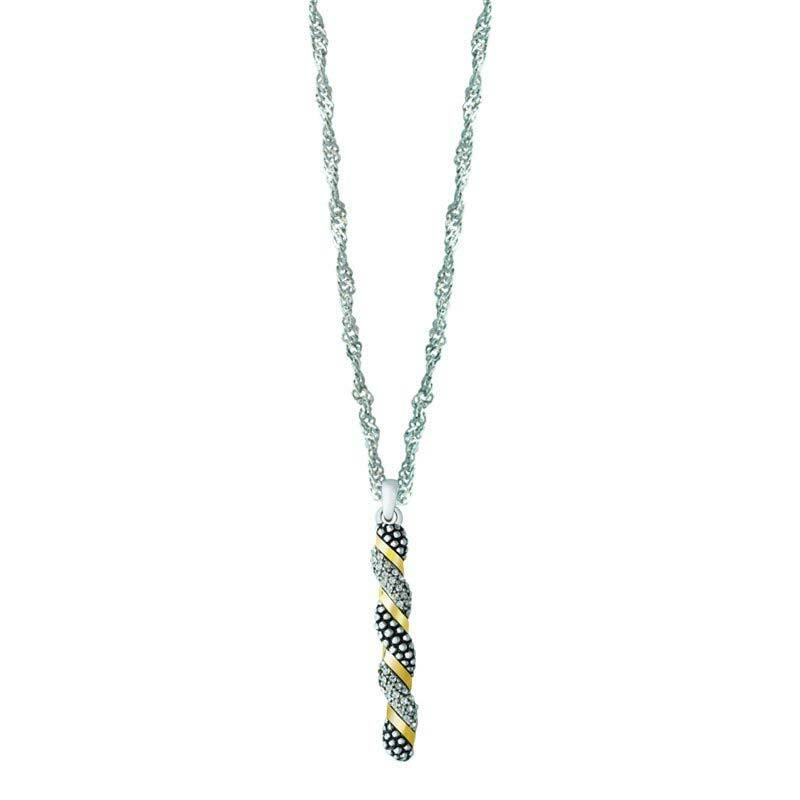 Whether she loves silver or gold, shes sure to love this piece which is the perfect combination of both metals.